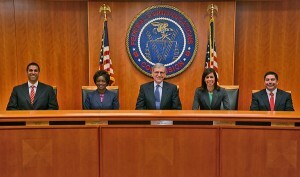 The decision to drop the separate classification of the service that ISPs make available to edge providers marks an apparent shift from the proposal outlined in the Feb. 4 fact sheet released by FCC chairman Tom Wheeler, which referred to interconnection and last-mile service separately. But it eliminates the potential legal problem for the commission’s authority to review interconnection arrangements that separate classification could have created. In its place, the rules adopted today will simply treat interconnection issues as part-and-parcel of the commission’s Title II authority to protect consumers on the last mile. 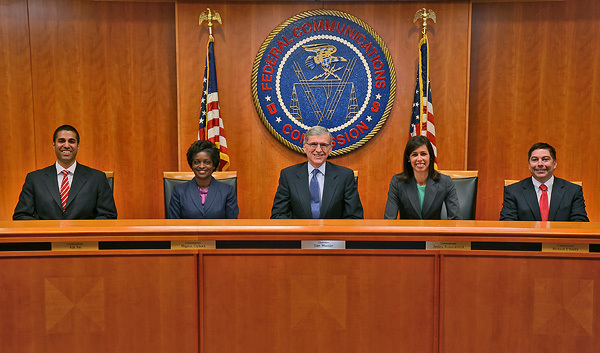 “When a consumer subscriber to internet service, the ISP promises to make the entire internet available through that service without interference” or discrimination, FCC general counsel Jonathan Sallet explained in a news conference following the vote. “As part of that, the ISP implicitly promises to make all the necessary commercial arrangements in order to furnish that service. So we decided it was not necessary to” classify interconnection as a separate service. As to what will be considered unjust or unreasonable,” Wheeler said the commission would consider whether an action was harmful to consumers, to competition, or to internet openness. The new rules take a similar approach to zero-rated services, in which particular applications or services are not counted toward end-user data caps. “There are good things about zero-rating and there are bad things about zero-rating, but the product is not as well developed here as in some other countries,” Sallet said. “There’s no list of do’s and don’ts that would apply to any service that is currently out there,” such as the zero-rated music streaming services offered by a number of wireless providers. Nonetheless, Sallet said, zero-rating would fall into the broad category of practices not covered by bright line rules but subject to the “just and reasonable” general conduct standard. How all this will ultimately impact the evolution of OTT services remains to be seen. The general conduct standard creates a legal obligation on ISPs and wireless carriers to act in ways that are not harmful to consumers or to competition, and provides grounds on which OTT services, as well as consumers, can bring complaints when they feel ill-done by. But the precise contours and robustness of that standard will only be known as it gets applied to specific cases, by the current FCC and by future commissions. At the same time, dropping the separate classification of interconnection arrangements could make it harder for OTT providers to sustain complaints against ISPs because those complaints will now be reviewed within the broader and more ambiguous context of consumer impact. Ditto for disputes that arise over zero-rating. Of course, it could also all be moot if the court once again, tosses out the new rules or if Congress overrides them. Update: Netflix isn’t quite sure what the impact of the new rules will be on OTT providers, either. Today’s order is a meaningful step towards ensuring ISPs cannot shift bad conduct upstream to where they interconnect with content providers like Netflix. Net neutrality rules are only as strong as their weakest link, and it’s incumbent on the FCC to ensure these interconnection points aren’t used to end-run the principles of an open Internet.